Here’s a gorgeous little seaside hotel on the beach of Rethymnon, one of Greece’s most charming towns. This renovated eco-friendly Steris Hotel offers numerous adventures in the region from cooking lessons and diving to hiking and exploring. There’s a breath of fresh air in this delightful town property by the beach with designer rooms and all the modern comforts, yet with a human touch and warmth of a family property that takes pride in displaying its Cretan hospitality. At the helm of the Steris Hotel is Mrs. Manolakaki who runs the property meticulously and tries to make sure that every guest is happy. From wi-fi internet and kitchenettes to satellite TV with CD/DVD players, the comfy and stylish rooms will impress. They come in different sizes and shapes, accommodating 2-4 people, thanks to the special family rooms and executive junior suites. The property is known for its eco-friendly philosophy, participating in green events and promoting ecotourism activities and trips to guests. 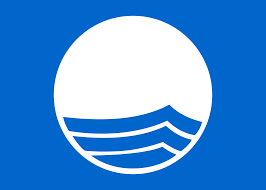 The Steris takes pride in caring for the beach across, which has earned the renowned Blue Flag for cleanliness. In parallel, the property itself is member of the Green Keys network for green hotels. The hotel even has photovoltaic cells on the roof that feed the national electricity grid and is working on a new eco-friendly system for heating in winter and solar-generated hot water all year round. Wake up to a generous breakfast buffet that offers local delicacies such as Greek yogurt, authentic feta cheese, Cretan tomatoes, Kalamata olives, crunchy rusk breads, savory cheese and spinach pies, mountain honey, herbal teas and delicious homemade jams that use Greek fruits in season. Cheeses, cold cuts, pickles, cake and cereals also form part of this buffet that will get you off to a good start. The all-day dining restaurant offers a vibrant mix of Cretan, Greek and international flavors, from salads and sandwiches to hot dishes and desserts. Vegetarians and meat-eaters alike with revel in the choices, where local market produce and fresh herbs feature strongly. Noteworthy too are the hot pizzas that are prepared and baked onsite with fresh ingredients. Best of all, you can order your food and drink right from your umbrella by the beach! If you like some more choices just walk on the beach to relax in a seafood ‘taverna’ or head towards the old town and harbor to discover real local cuisine. You can enjoy an even more hands-on cooking activity through cooking lessons! The hotel will send you to cook in the traditional village of Margarites, where you can also wander around its old paths, discovering another important local tradition – pottery making. There’s so much to do beyond enjoying the good food and swimming in Rethymnon’s clean and lovely beach. Whether it’s hiking, diving, biking, wind surfing or mountain climbing, Mrs. Manolakaki can put you in touch with one of several little companies that specialize in outdoor activities. The hotel has affiliations with different activity providers, such as Happy Walker, a small-scale walking and hiking organization with two decades of experience, as well as GreenTour, which organizes fabulous tours and excursions around the real Crete. Rethymnon, which is in the center of the island, is a great base to discover lots of attractions, colorful traditional villages, amazing nature and stunning archeological sites. The Steris is a super eco-friendly option by the beach that is ready to help you discover all the beauty that central Crete has to offer.